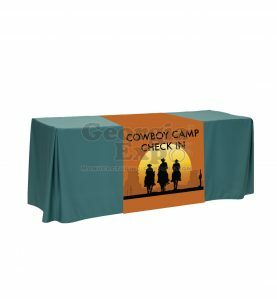 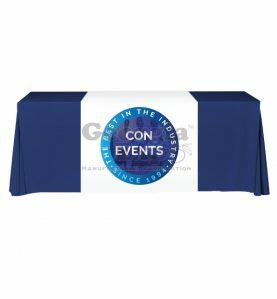 What better way to get your brand front of mind than with a Custom Fabric Table Runner? 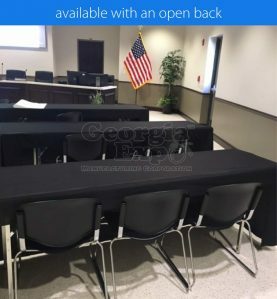 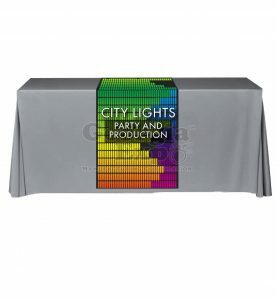 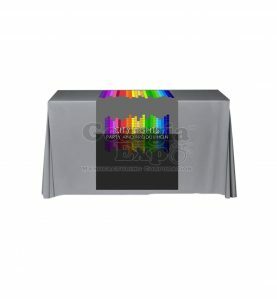 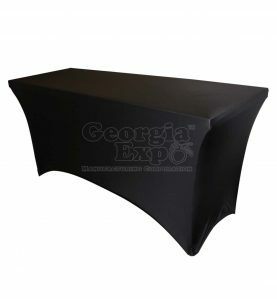 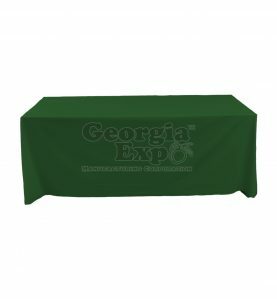 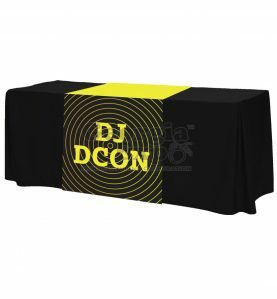 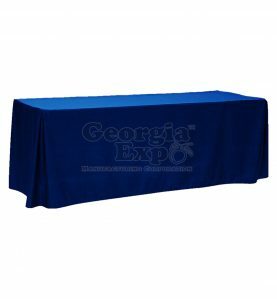 Available in a variety of widths that work with any size table, you can customize it by adding a full- color logo, monogram, photograph, step-and-repeat or any other design. 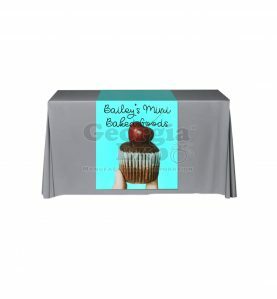 Provide your own artwork or have one of our designers create it for you . 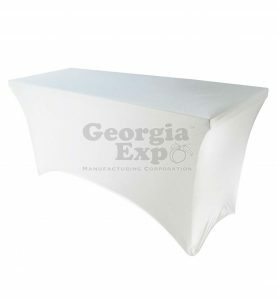 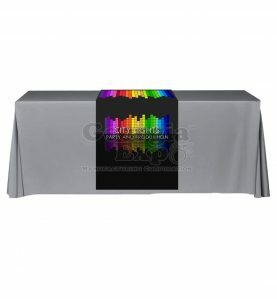 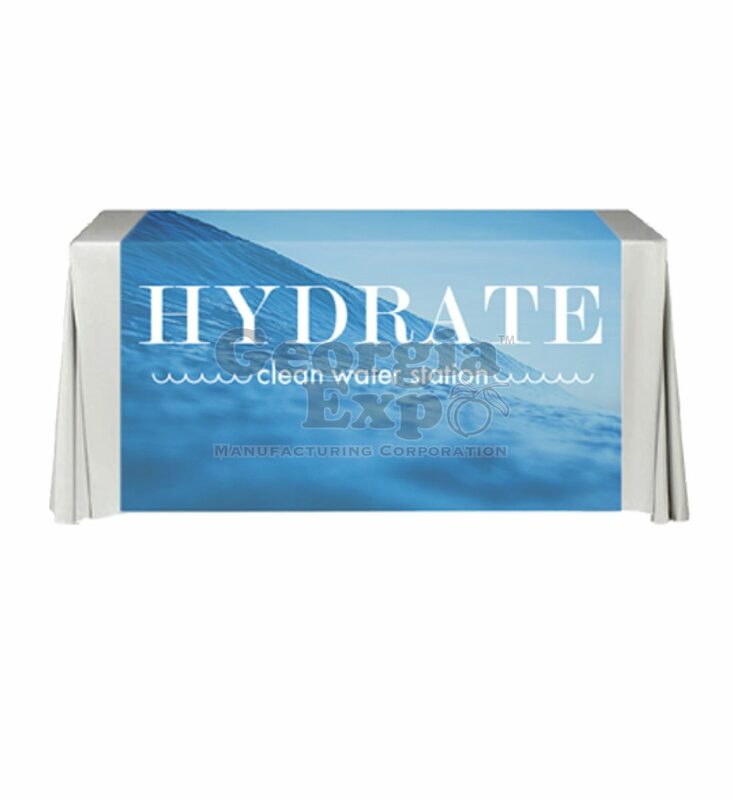 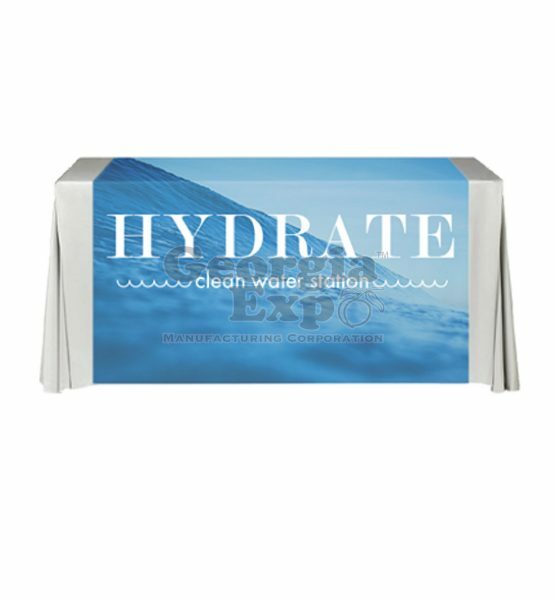 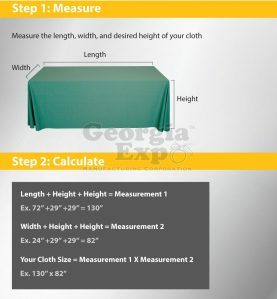 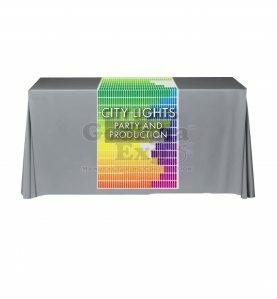 Display the table runner by itself or in addition to your Custom Fabric Backdrop at trade shows.